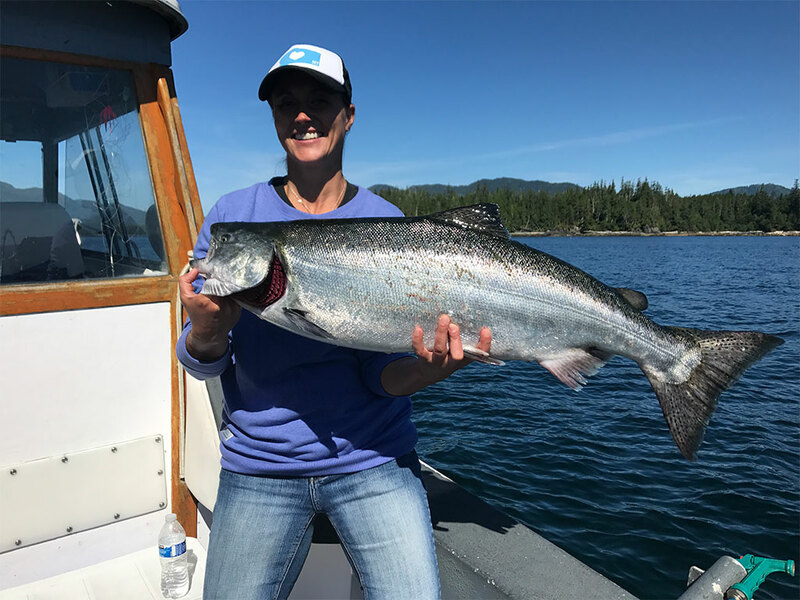 A full day fishing charter with Anglers Adventures & Outfitters means that you get a full day to connect out on the water and divulge yourself into the Alaskan fishing culture. A full day of Alaskan fishing can last anywhere from 8-10 hours. Because we have more time out on the water, we are able to take you a little further to the best local fishing spots around. Our boat, the F/V Sierra Dawn 28’ Bayliner Trophy, offers you both functionality for fishing without settling for comfort. The boat comes with two 225 hp Honda engines, a chart plotter, a GPS system, depth sounders, 4 new electric downriggers and rod holders. Oh, and did we mention the heated cabin and private bathroom? Everything you need to set yourself up for a good time is right onboard. Anglers Adventures & Outfitters also provides our guests with all of the essential fishing gear and rain gear that you need. The bait, tackle, lures, snacks and beverages are all included in your package price. Spending the day out on the water leaves plenty of time for intense fishing and beautiful sight seeing. Just like your full day charters, our half-day charter package includes all of the essential gear that you need to be successful out on the water. For our half-day charters, we will typically stick to fishing for salmon, rockfish, and the allusive black and grey cod. The Halibut requires a full day out at sea. Whether you are just in Ketchikan for a short period or perhaps you are on a cruise and are stopping in for an excursion, our half-day trips are the perfect opportunity to get acquainted with the water and reel in the prized salmon that you’ve always dreamed of. We are extremely excited to announce that in 2019, we now have a beautiful lodging option for guests looking to make this a multi-day fishing trip. Included in this package is a beautiful lodge that features an Alaskan ocean view scene along with a deck, 3 bedrooms and 2 baths. Of course, it wouldn’t be a proper lodge without a ventilated fish processing room with freezer storage to enjoy whatever you reel in for the day! All of these packages include your fishing charters and can be priced per person. Ready to book your Alaska fishing package for 2019? For more information, give Anglers Adventures & Outfitters a call today at (907) 254-0880 or feel free to send us an email at brian@anglers-adventures.com.